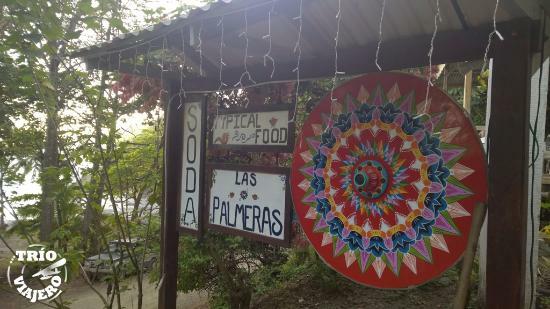 Cocolores is a popular restaurant beside the Montezuma beach, offering delicious foods at reasonable prices. That said, it easily gets fully packed. So, many visitors are encouraged to book the tables in order to avoid any delay. 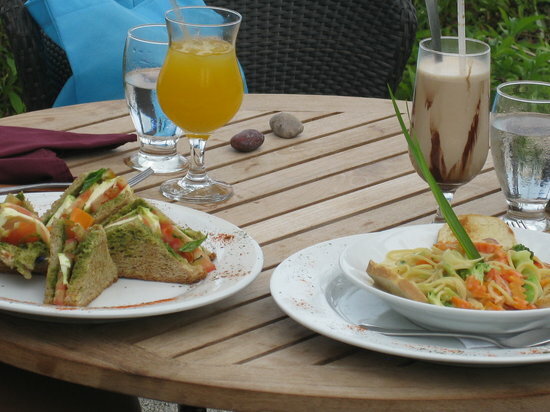 The menu offers mahi-mahi, bread, pasta, salad, shrimp, pineapple chicken, potatoes, veggies, seabass, ceviche, and more. The food is excellently cooked with spicy and flavorful ingredients. It’s also beautifully presented. You can start with the salad, which looks fresh and delicious. 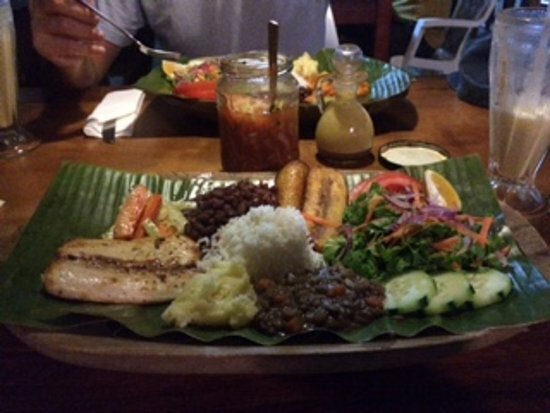 You can also ask for fish served with coconut sauce, one of the restaurant’s specialties. The chicken, accompanied with veggies and shrimp, is out of this world. You can’t miss out on it; the pasta is also flavorful. If you need more food, this is the right one for the next plate. As for beverages, you can order tasty tequila sunrise. The restaurant has professional and honest staff. While they welcome every client even when they are busy, they seek to know if they have made a reservation prior to their visit. If they have not made any, then they may be told to wait a few hours until they find a room for them. But they do all they can to attend to their needs. So, in spite of not having booked a table, you are assured that you won’t go back hungry; you’d just need a bit of patience. Once this problem is overcome, the staff serves your entrées in accordance with your preference. You will have the most delicious meals in the area; your long wait is nothing compared to the flavors of your food. Ylang Ylang Restaurant is a wonderful beachfront spot, based in Montezuma, offering exclusive services such as wedding ceremonies and tasty foods, attracting millions of travelers and locals per year. You really should check this out while in Montezuma. 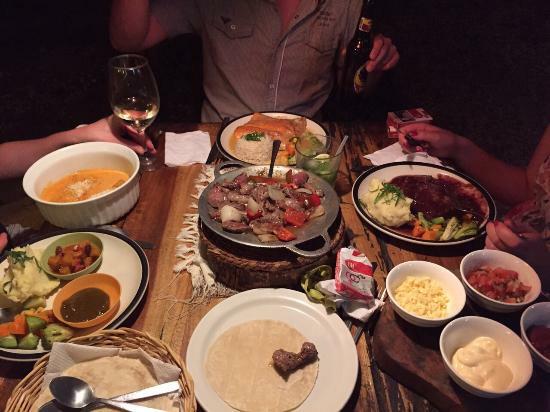 The restaurant has extensive menu whose foods comprise in fish, chicken, mussel sauce, potatoes, vegetables, nachos, blackened tuna, Asian Noodles, and much more. The fish comes with mashed potatoes and veggies with creamy mussel sauce on top. Since it’s a large portion, one person easily gets stuffed; it’s not easy to finish this meal. If you prefer, you can order a lot of seafood and get it mixed with other food; to finish your entrée, you can order dessert crepe with Bushwacker, cold Imperial or margaritas, the amazing drinks of the restaurant. The staff provides delicious dishes and top-notch services. Their foods are perfectly cooked. Though travelers usually visit so many restaurants, they find it the best spot; you can tell they have come to stay. Since the spot offers great accommodations, they don’t need to look further; they have nice rooms for their vacations or relaxation. While there are many other places, visitors prefer this place for their wedding ceremonies as it’s fully equipped to provide you with the best wedding experience. The bride and the bridegroom can choose whether to get married at the spot or on the beach. What’s more, the staff is friendly and professional; the clients are their top priority. And the prices are reasonable for the quality services. Soda tipica las palmeras is an amazing, small beachfront restaurant, situated a few miles away from the main town, Montezuma. It caters for all the meals, breakfast, lunch, and dinner. As you visit this place, you go home satisfied. The menu offers delicious dishes, such as shrimp, watermelon aqua fresca, fried pork, beef sauce, Gallo pinto, rice, fried eggs, plantains, Casados, and much more. The food is served in large portions; no matter how much hungry you feel, you will be satisfied. All the foods are perfectly prepared with fresh ingredients. Most of them are authentically Costa Rican. For breakfast, you can order the yummy watermelon aqua fresca. For dinner, you can order fried pork accompanied with fried eggs. It’s out of this world. You can also order shrimp accompanied with rice and plantains. This dish is huge and presented well on the plate. There is a tasty hot sauce you can dip in your food. As for beverages, the restaurant offers tequila. You can sip it while you are eating the homemade guacamole. Plus, you can order tasty smoothies and, if you like, get it mixed with some liquor. The staff is friendly and professional. The waiter attentively takes care of the needs of the clients. When visitors are on the fence as to what to order, the server gives better recommendations based on his palate. As the clients decide on their food, the server brings it in no time. The staff offers amazing dishes and services at extremely affordable prices.